CTE is a subject which should be of interest to every athlete and their family that engages in contact head sports. Your sports career will be relatively short, the rest of your life will be long. CTE will make it even longer and less pleasurable. A ground breaking scientific study of CTE casts scientific credibility on what was previously a subjective diagnosis. The study could make earlier diagnosis of what could be a chronic disability. Currently, only presumptive diagnosis of chronic traumatic encephalopathy (CTE) can be made in living patients. We present a modality that may be instrumental to the definitive diagnosis of CTE in living patients based on brain autopsy confirmation of [F-18]FDDNP-PET findings in an American football player with CTE. [F-18]FDDNP-PET imaging was performed 52 mo before the subject's death. 1. Difficulty recalling names of familiar people and recent past events. 2. Problems with tracking conversations. 3. Began losing personal objects. 4. Became short-tempered, often felt panicked, was less organized. 5. Became fixated on ideas and less interested in activities he previously enjoyed. 6. Transformed from a kind, mild-mannered “gentle giant” to a very agitated person. a. Exhibited angry outbursts that were out of character. Our patient exhibited negative family history for dementia or major psychiatric illness. According to his wife and next-of-kin, he exhibited progressive cognitive decline for many years after retirement from the NFL. 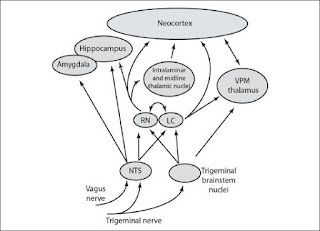 In conclusion, our results may suggest that the in vivo identification of CTE substrates in living patients may not only be based on the presence or absence of proteinopathies, but also on the identification of the differential and selective topographic vulnerability unique to CTE, which [F-18]FDDNP-PET may be demonstrating. 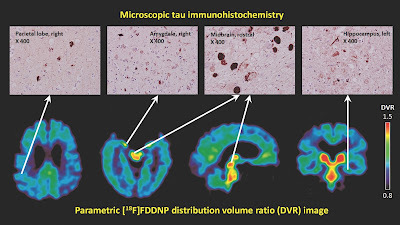 Further prospective studies are needed to assess whether [F18]FDDNP PET can serve as a useful adjunct in the diagnosis of CTE in living patients. What does the surgeon general do? The national media gives a very narrow description of what the surgeon general actually does. Most of the time the description is flat, uncolored and boring. Watch The Zdogg video interview with a surgeon general. Most of the generals rise through the ranks of the USPHS and are commissioned. The USPHS is a branch of the uniformed services of the U.S.A. Objective: This study aims to describe the demographic characteristics of patients that may demonstrate their attitudes toward medical information shared on social media networks. Second, we address how information found through social media affects the way people deal with their health. Third, we examine whether patients initiate or alter/discontinue their medications based on information derived from social media. Methods: We conducted a cross-sectional survey between April and June 2015 on patients attending outpatient clinics at King Abdulaziz University, Jeddah, Saudi Arabia. Patients who used social media (Facebook, WhatsApp, and Twitter) were included. We designed a questionnaire with closed-ended and multiple-choice questions to assess the type of social media platforms patients used and whether information received on these platforms influenced their health care decisions. We used chi-square test to establish the relationship between categorical variables. Results: Of the 442 patients who filled in the questionnaires, 401 used Facebook, WhatsApp, or Twitter. The majority of respondents (89.8%, 397/442) used WhatsApp, followed by Facebook (58.6%, 259/442) and Twitter (42.3%, 187/442). In most cases, respondents received health-related messages from WhatsApp and approximately 42.6% (171/401) reported ever stopping treatment as advised on a social media platform. A significantly higher proportion of patients without heart disease (P=.001) and obese persons (P=.01) checked the authenticity of information received on social media. Social media messages influenced decision making among patients without heart disease (P=.04). Respondents without heart disease (P=.001) and obese persons (P=.01) were more likely to discuss health-related information received on social media channels with a health care professional. A significant proportion of WhatsApp users reported that health-related information received on this platform influenced decisions regarding their family’s health care (P=.001). Respondents’ decisions regarding family health care were more likely to be influenced when they used two or all three types of platforms (P=.003). Conclusions: Health education in the digital era needs to be accurate, evidence-based, and regulated. As technologies continue to evolve, we must be equipped to face the challenges it brings with it. 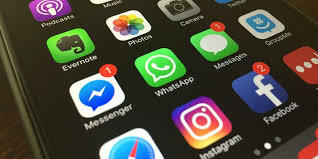 Twitter, Facebook, and WhatsApp have become mainstream online tools that permit individuals to connect and share information. Furthermore, they permit individuals to share uncontrolled, unsupervised, and unfiltered content, irrespective of time and place . Consequently, the Internet contains a lot of self-created content . Many people are increasingly using social networking sites for health-related purposes. Research has demonstrated that an increasing number of patients are using social networking sites to share their experiences with health care personnel or institutions . Patients also share their experiences with family members and friends via platforms such as Facebook, WhatsApp, and Twitter [4-6]. There is evidence that if social networking is used properly, then it can help patients . For example, a study that promoted breastfeeding among Saudi women showed increased adherence to breastfeeding through a Twitter campaign . Another study that investigated the effect of Twitter on women’s health education demonstrated that women in Saudi Arabia were interested in discussing gynecological complains and breastfeeding-related issues on Twitter . The investigators found that this strategy helped in creating awareness. Moreover, a recent study showed that Twitter was a powerful platform for health promotion strategies . Influential people who have a huge number of followers can constitute an integral part of any health campaign or help in disseminating knowledge. Concerns about the increasing use of social media to share health experiences and information arise as the use of these sites might affect choices that patients make regarding their health . Furthermore, it might affect the way patients interact with health care professionals. According to one review, information obtained from social networking sites correlated with many measures of quality of care, including performance measures such as mortality and readmission rates . Nevertheless, definitive conclusions cannot be drawn from correlation tests and several questions remain unanswered regarding the impact of patients’ use of social media. There are few data available regarding the impact of social networking sites on the online health information-seeking behaviors of people in Saudi Arabia . This report will attempt to determine whether advice obtained from social media platforms, such as Facebook and WhatsApp, affect choices that people make about their health care. This study aims to describe the demographic characteristics of patients that may demonstrate their attitudes toward medical information shared on social media networks. Second, we address how information found through social media affects the way people deal with their health. Third, we examine whether patients initiate or alter/discontinue their medications based on information derived from social media. Another tool for pain management and avoidance of opioid addiction. President Trump's announcement about the campaign against opioid addiction comes on the failed programs such as the War on Drugs. Why are opioids so addicting ? Because they are so . effective in blocking pain and allowing people to function in the face of chronic pain. Success in decreasing opioid addiction will only come with a successful drug that manages pain as well as opioids, and proper management of pain with alternative treatments. Medtronic's system may help with delivery of micro quantities to the spine and/or neurostimulation to block pain transmission from end receptors to pain centers in the CNS. 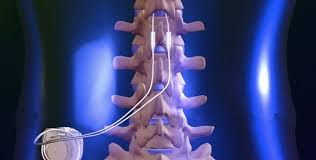 Medtronic’s Intellis platform grabbed a CE mark for peripheral nerve and spinal cord stimulation. With the nod, the device is now cleared to treat chronic, intractable pain of the trunk, posterior trunk and limbs. The Intellis system, which earned the FDA green light in September, is the world’s smallest fully implantable spinal cord stimulation neurostimulator, the company said. The system includes the implant, a patient programmer and a recharger. A physician programs the therapy wirelessly, using a Samsung tablet. The device is designed to help physicians make better treatment decisions. In addition to delivering pain-relieving neurostimulation, it records patient activity, such as their body position and how they self-administer their treatment, around the clock. Non-opioid pain treatments are becoming increasingly important—the number of opioids prescribed and sold in the U.S. alone has quadrupled since 1999. While opioids used to be prescribed sparingly—after a surgery or injury, or for managing cancer-related pain—there has been a “dramatic increase” in their use for chronic, non-cancer pain, according to the CDC. Due to technical details the formatting of this post is abnormal. I apologize for it. A clinical trial is a research study designed to assess the safety and efficacy of a treatment or intervention. We are currently helping people see whether they are eligible for a clinical trial of modified stem cell therapy for TBI called STEMTRA (STEM cell therapy for TRAumatic brain injury). Stem cells are cells that have the potential to develop into different types of tissue within the body. The STEMTRA Study, a Phase II clinical trial, is working to understand whether stem cells taken from adult bone marrow can be used to help improve function after a TBI. The STEMTRA Study is designed to test the safety and efficacy of a modified stem cell therapy that is administered directly to the injured brain through a neurosurgical procedure. Participants will have approximately seven follow-up visits for additional examinations, questionnaires, video recordings, and brain scans over the following 12 months. Interested in participating? 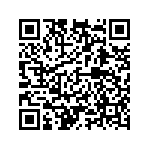 Take the TBI Survey to let us know. UCSF will review your survey information and if you qualify, we will help you get in contact with study personnel who can answer any questions you may have about the study and further pre-screening. And Paul Gilman is the new leader of the Board of Scientific Counselors, which provides input on the EPA's research agenda. Gilman works at the waste management company Covanta Energy and served as an EPA assistant administrator during the Bush administration. These three advisers attended today's EPA press conference and stood behind Pruitt as he signed the new directive. Some lawmakers who have been highly critical of EPA regulations also attended the briefing.